Multiple meth-related charged were filed against a Readyville man Friday, May 13. Cannon County Sheriff Darrell Young and Investigator Anthony Young went to 2027 Tassey Road on that date after Sheriff Young received information a meth lab was being operated there. Upon arrival they spoke with James (Jimmie) Alex Earls, Jr. and asked about a meth lab being at his residence. Earls became defensive and said he did not know anything about a lab. Earls asked if the sheriff and investigator had a search warrant, and when told they did not, denied them permission to search his property. Once leaving the property, Investigator Young contacted Earls' parole officer. The officers returned to the address and met the parole officer there. They entered the residence along with deputies Mike Smith and Brandon Gullett. Upon a check of the residence by officers from the sheriff's department and probation and parole, components consistent with a meth lab were found in a back bedroom. Earls stated it was his bedroom. Inside the residence, officers could detect a strong odor of chemicals. Investigator Young then obtained a search warrant for 2027 Massey Rd. Earls was served the warrant and a search of the residence and property commenced. In the back bedroom: a black digital scale, a blue BernzOmatic propane cylinder, about eight feet of clear plastic tubing, and another propane torch. In the living room: a glass pipe with a round bowl with black residue and a food processor with white residue. In the kitchen: two coffee filters with red residue, a pack of unused coffee filters, several boxes of aluminum foil and several boxes of plastic baggies. In the barn area: one white plastic jig containing muriatic acid, one clear baggie containing several used coffee filters, seven rolled up pieces of aluminum foil, one empty Coleman propane tank. In the woods behind the barn: a one gallon glass jug containing a one pot meth lab, a Gatorade bottle containing a one pot meth lab, and a plastic bottle containing charcoal lighter fluid. In a burn pile beside the residence: a empty plastic jug that had contained muriatic acid, a clear plastic bottle that contained a one pot meth lab, several empty blister packs of pseudoephedrine empty packs of lithium batteries and several lithium strips. A field test was conducted on residue found in the glass pipe from the living room. It tested positive for methamphetamine. All evidence was taken and Earls was placed under arrest. 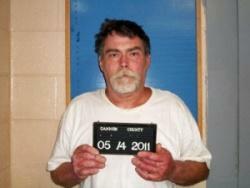 Earls was transported to the Cannon County Jail, where he remains in custody under a bond of $410,000. The Meth Task Force was contacted and Eagle Environmental Services clean up the meth operation located at 2027 Massey Rd. Charges against Earls are: initiating the process to manufacture methamphetamine, manufacturing methamphetamine, possess of Schedule II drugs, maintaining a dwelling for the use, keep or sale of a controlled substance, possession of drug paraphernalia. Earls was appointed the public defender to represent him in General Sessions Court Tuesday. His next court date is July 12. Maybe the judge will give him enough time so he will learn his lesson.I am glad that Sherriff Young had put a stop to the inmates working out in the public.He WILL NOT get a taste of freedom this round.A job well done Sherriff!! !